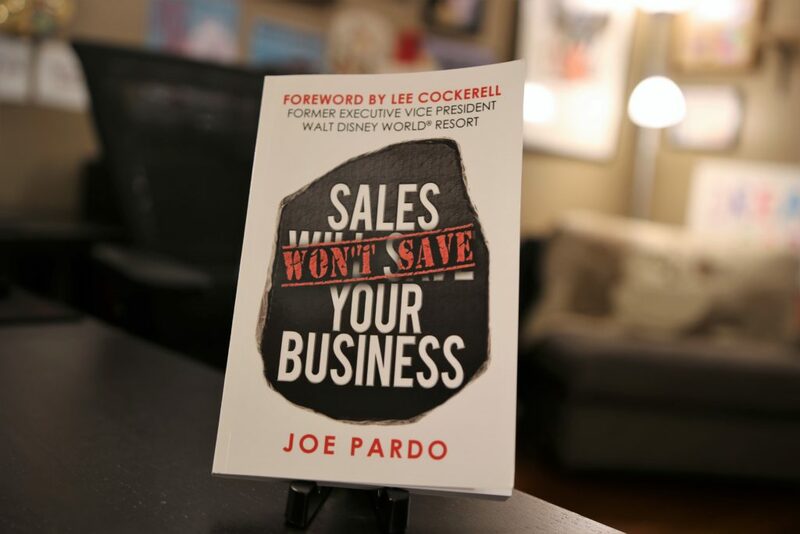 Lots of good ideas here for business owners and marketers in the flowing conversations host Joe Pardo has with business owners and marketers. Two recent episodes stand out for me: An interview with an anonymous business coach about how to grow her podcast downloads and a conversation with Tom Mulleiz about the expensive lessons he learned launching -- and relaunching -- his e-commerce site for outdoor experiences. Both episodes will get you thinking in new ways about how to attract and serve your clients. I love your high energy and passion that you put into you podcast! You provide great content!! Joe has a warm, friendly rapport with his guests, and his format is akin to a very casual conversation. There's very little introduction, just his show's theme music and then he gets right in to the episode – something I found refreshing. His guests cover a wide range of genres and backgrounds, but they all relate to his central theme; regardless of who he talks to, you’ll find common ground and helpful information that you can apply to your own life. An inspirational and helpful show – thank you, Joe! Get inspired to follow your dreams by learning from others who are following their dreams. Great idea and excellent host! Really inspirational show. I find myself re-listening to episodes just to pump myself up for the day. This show cut right to the chase! Joe Pardo cut to the chase straight away, asking his guest Adele McLay if everyone in London is happy with the US election result as he interviews her just after Trump is voted in. Loved this! It put his guest on the spot and has his listeners hooked in immediately. Tune in to hear the answer! He carries on asking some great questions, cultivating a very interesting interview. :-) Super stuff! Joe's podcast is brilliant and inspiring! He reminds me to never give up on my dreams and to keep working on them each and every day. Thank you, Joe! Joe does a great job interviewing his Guests. I love hearing about how people made their 'dreams' come true. Thank you! If you need inspiration to get off the fence and make your dreams come true, you will find it here and enjoy listening to these interviews and episodes. Great content. Congreats on 2 years and your success! At the heart of this podcast is a simple and positive message. Get going! Dreams can be reality if you put the work in. "YOU CAN BUILD THAT." You first have to believe it and sometimes hearing the story, from the right person is all you need to take that first step! Thanks for sharing and looking forward to seeing what year 3 brings! If you need happiness and motivation... listen! Great podcast to get you on those positive vibes and go beyond your dreams to live the life you want. Check it out for sure! Just subscribed. Thanks for your help and encouragement Joe! One thing that lights me up more than anything else, is listening to other people share their story of following a passion until its realized. This show is loaded with such stories. The best fuel to stay motivated is the reminder that it CAN be done. Thank you Joe for bringing these stories to us. Joe is a Great Host! Dreaming is a day activity This podcast shows us that anyone, like ANYONE, can live their dream. if they want to!!! Love listening to Dreamers podcast! Hearing personal stories of how others have reached their goals gives ME motivation to dream big. Love knowing that dreams can come true. Enjoy the show very much. Joe does a great job getting fantastic guests and providing an informative and inspiring show time and time again. Great job! Highly recommended! Joe's easy going interview style makes you feel as though your sitting with friends, while getting the goods. Dreams can come true. Check out this podcast and SUBSCRIBE and be inspired to work toward your dreams! Joe is an excellent interviewer and this topic is brilliant. Who isn't a dreamer? Very relatable. Definitely recommend! I'm a fellow dreamer with tons of things I want to do! A great idea for a podcast! Keep em coming! Just checked out an episode and I was highly entertained. Will look forward new episodes. When a friend heartily endorsed this podcast and suggested that I listen, I was skeptical. It seems like everybody has a podcast these days, and most are poorly thought out and even more poorly executed. Dreamers Podcast stands out as the exception. Joe chooses fascinating people with interesting stories to tell, and he does an incredible job getting them to share their path to achieving their dreams. Joe’s conversational interview style comes off as effortless, but as a journalist by trade, I know how difficult it is to execute. He truly makes me feel like I’m eavesdropping on a casual conversation between friends. If you have dreams, if you’ve achieved your dreams, or if you’re still trying to figure out what it is you want in life, I highly recommend you listen to the Dreamers Podcast. Joe’s got an awesome podcast that INSPIRES. We all have dreams, Joe helps us remember, reassess and rebuild them… that’s a TON better than just catching dreams! Joe Pardo helps us all recharge our ability to dream and gives us the tools necessary to accomplish them! What a GREAT legacy, Joe Pardo! Listening to this podcast gives you an inside look on the guests' lives and careers that you wouldn’t get anywhere else. Hearing the stories, you could relate with them and realize they are essentially similar problems no matter what industry. This most definitely inspires me to pursue my dream. If you’re a dreamer, you will want to join Joe Pardo on this podcast. Some of us talk about dreams, but Joe is making a career of inspiring himself - and others - with real life stories about turning dreams into reality. Highly recommended as a “go-to” destination to feed your dreams, brighten your future and become happier and more satisfied in life. Joe's done a great job with this show. It's great to know there are so many dreamer's out there in the world like myself. I also learn something new with each listen. Loving your show brother! Inspirational and motivational. Keep them coming, I'll keep tuning in! What better way to motivate you to chase your dreams by hearing others’ stories about their dream-chasing? This is very inspiring and motivating, and a true gem. Joe is a great host and this is an inspiring show. Joe knows how to get his guests to open up and motivate us with their stories. Love this show! A must listen to! This is a fresh show! I really loved the insights from people living their dreams! I'm so glad I met Joe! It was an absolute blast being on his podcast because of how warm and inviting he is. I enjoyed it so much that I've gone on to do three more shows with him. In our world right now we need more positive people being profiled and Joe does a great job of that with his guests. He's one to watch out for! I love the light hearted fun and enjoyable feeling that I get and the content and guests are so great it has helped me take the next difficult step going forward with my business, keep dreaming ! interesting people and inspirational stories shared with Joe. Dream away, then punch through! Like the central theme. Like the shows. Funny how it takes a dreamer to punch their wishes through to reality. Joe hits many nails on the head here, and he happens to have an excellent first name too! Keep it coming Joe! The guests are inspiring and the questions allow the guests to let it all out so that I can get pumped! I love it! We all have a dreamer side to ourselves. Some of us, it's alive and well. For some of us, it's slowly dying. But the good news is, it can be revived and we can achieve our dreams. This show is all about that. Especially love the interviews. This show is on point. Really great show! I love listening to this show while going about my daily routines. I always learn something new and feel built up after an episode. I especially love the episode with Farnoosh Brock! You’ve got to have a dream if you want to do big things in life, and Joe along with his guests share some really great inspiring stories of how they are living their dreams and what you can do to achieve your own dreams too! Great Topic! Looking forward to hearing more! Joe shares some great info and has so many inspirational guests that this podcast continues to inspire me and remind me that anything is possible. So great to hear stories and hear other people who dream. Inspiring. This podcast is a great motivator and full of great content! A must listen for those who believe in reaching their dreams! Great inspirational podcast. Sharing the real life experiences of those who have followed their dreams. Thanks for collecting inspiring stories that help everyday people like me seek after my dreams. It’s in these stories that keep us motivated to keep reaching for the star. Inspiration for anyone who has a dream, and encouragement as they pursue it! Very inspirational stories and interviews. Love listening to people who are making a positive difference in this world. Keep being awesome! What a refreshing uplifting way to start your morning. For any artist, creator, innovator or inventor who is re-thinking or putting your dreams on the backburner, after listening to this podcast, you will absolutely change your mind. To hear the world through the eyes of people who have followed their dreams and continue to do so creates such a mind-stimulating and inspirational aura that puts all personal struggles into perspective. And of course, Joe's natural charisma ties together what is the most original and thought-provoking podcast I've ever heard. The world of self-help is vast and it can be difficult to find people who walk their talk. There are some really impressive guests and stories on this show. Whether it is having cancer and running a marathon (ep 8) at the same time, or exploring the world of photography (42), or selling everything to finally go traveling with your children (38), there is something for everyone. This is a very interesting show, because Joe interviews all kinds of successful dreamers who are living their dreams. If you have a dream, then Joe probably has interviewed someone with a similar dream - who will talk about how they made their dream come true... Derek Smith, "Selling On Purpose"
Great idea of a show and amazing host! Love the way this show is conducted….. Amazing for any type of person!! Love the focus of this show. I believe in dreaming big and giving God the keys! Impossible is only an excuse not to try! So much fun hearing the adventures of other dreamers! So inspiring! Wow! Interesting Mix of Guests! Joe Pardo does a great job of interviewing a wide mix of guests and asking the right questions. Want to hear about people who have reached for their dreams? You're in the right place! Joe does a great job in getting his guests to tell their dream story. These are inspirational and motivational and I’m subscribing now! Joe and his guests are living their dreams. Listen to this podcast and you will be closer to your dream! If you’re a dreamer, then this podcast is for you. Joe and his rockstar guests prove that it’s possible to find your passion and live a fulfilling life. Very inspirational and encouraging to hear all the different stories of people living their dreams! I loved listening to the passion that this show provides. Keep churning it out as we need more shows!! Love it. Inspiring and great conversations where dreamers talk about action. Dreams are no good without action and this inspires both. Thanks for the show. The Dreamer's podcast is super inspiring and the guests brought on are down to earth and relate well with the audience. Keep 'em coming Joe! As an entrepreneur, I’ve got big dreams that sometimes seem impossible to achieve. It’s great listening to this show, and seeing how others are able to achieve their dreams which inspires me to continue going after my own. Man, how do you produce so much content? Lots of varied topics here that it will take some time to work through. The sound is good and there are so many episodes that I can pick and choose the ones that seem most relevant to me. Nicely done. Thanks Joe for creating a podcast that inspires people to make their dreams come true. We need that! Thanks for introducing us to Jenn Scalia! I really like your interview style. Thanks and keep the great content coming! There are lot’s of shows about following your dreams but Joe has a great list of guests that I don’t hear everywhere else and he is great at pulling really useful and inspiring information from them. Joe… thanks for creating such an interesting podcast. The “dream” is an amazing thing… it’s the fuel that drives those who want to accomplish more in the world! Joe is doing a great job with this podcast. The stories are entertaining and inspiring, the audio quality is great and Joe is a gracious guest. Keep it up! I really enjoy his podcast. He makes listening easy and has a bunch of interesting guests. Joe does a fantastic job interviewing people, drawing out their stories as they pursue their dreams. Very inspiring and encouraging! Love that Joe invites people from all walks (and all flavors of dreaming) on to his show. Definitely encouraging for anyone looking for something more out of life. I love this podcast. Very inspiring to listen to. What I like the most about this podcast is that both Joe and the interviewee are real, authentic, and honest. For example, the question about parts of someone's dream not coming to fruition yet- that really helps a listener like me understand that "living happily ever after" is indeed a process and not an end destination. The world is much bigger than what we see right in front of us. It's great to be able to hear so many different people's inspiring stories about their lives and experiences. Joe obviously is an inspired individual and you can hear it in his work. The interviews are uplifting and enjoyable. Great Job! Awesome podcast ! Very uplifting & inspiring!!! Thanks Joe - keep it going. Joe Pardo does a great job of bringing inspiring guests to the show! There is no shortage of inspiration from the great questions to the relevance to the guests! Keep up the great work Joe and I will keep on listening! This is a must subscribe to podcast! Love this podcast! So inspiring! Joe does a great job and asks the right questions at the right time! Great podcast! It is so inspiring to hear about people living their dreams! I listen with my kids, who are teens now and are faced with the challenge of moving on to college and the omnipresent question of "what do you want to do with your life?". This is a great way for them to hear some non-traditional routes to contentment and to realize that if you can dream it, you can do it! As we grow up, our dreams tend to fall to the wayside. We get in the habit of telling ourselves all the ways why we "can't" do what we want to do, instead of why we "can." This podcast turns all that around by interviewing inspiring people who have broken the medocrity mold to follow their dreams. I always feel ready to take on the world when I listen. Thanks for the great show! Your Dream Is Possible, Start Listening! If you still need a nudge to take your first step toward realizing your dream, definitely start listening to this podcast! The stories are not only inspirational, but practical too! Awesome job Joe! Great interviews and interesting stories! I can’t believe how many interviews this guy is cranking out! That’s a lot of work. But thanks so much for being willing to do it. Joe’s genuine enthusiasm for helping people build their dreams is tangible. These are just a bunch of fun. Hope he keeps cranking ‘em out! I came across this through a good friend. I hope to meet Joe one day. The stories are great! He has interviewed people I know and podcast "celebreties" that I listen to! I look forward to more episodes! First of all, the artwork is great. That’s what got my attention. Once I listened though, I really enjoyed the inspiring stories from people who thought big, rolled the dice, and actually made things happen. A nice break from all the “doom and gloom” of most media. Great show, interesting topics, insightful interviews, and engrossing content. Give it a listen! So glad you started this show, Joe. The world needs these stories. You rock! Wonderful podcast that gives you the stories of people with dreams and how they live them out. This show is wonderful motivation for those of us who wake up each morning determined to make our dreams come true. The guests on the show share their experiences in order to inspire us to keep dreaming and, more importantly, to live our dream. What a podcast...awesome! Thank you. Love this podcast!!! It's great to listen to people who are living their dreams and the steps they took to get there. Very inspirational it'll make you wanna go out and follow your dreams too!! I've totally enjoyed listening to Joe and his guests share their dreams...inspirational! Thanks for all you do, Mr Pardo! Congrats! There aren't a lot of inspirational podcasts/blogs/people out there on the Internet; usually people use the web as a place to kvetch about EVERYTHING. I love Joe's podcast because it focuses on average people who find inspiration in their life and want to share that inspiration with others. This podcast is uplifting and Joe is a great host. Can't wait to listen to more of them! I love this show! It's so inspiring to hear people share their stories and what they've done to help make their dreams happen! Joe is a great host and directs the conversation in a great way! This is a MUST LISTEN!! I'm enjoying listening to this Dreamers Podcast. Listening to others who are following their dreams, no matter how big or small, is pretty inspiring. All dreams don't require million dollar paydays or international fame. Some are just doing what you enjoy, helping others or creating something useful like this Podcast! The show topics are about real people living their dreams. Joe is a natural interviewer, who gets the guests talking about their journey. Inspired and always interesting— each guests brings a new perspective! Enjoyable interviews and inspiring to hear from people who are living their dreams! Keep up the great work! It's inspiring to hear from people that are living their dreams and doing what makes them happy. When I first heard of Joe Pardo’s Dreamers Podcast and what it was about, I thought it was a pretty cool idea. Then, when I HEARD the podcast, well, I just knew THIS was the show the world has been waiting for. Through Joe’s passion for inspiring others, he presents a podcast that allows others to share their life changing experiences in the hopes of inspiring others - all in a very positive way. It’s great to hear that so many people in the world are living their dreams, and that there IS hope for me! What the world needs is less ‘reality’ shows and more REAL shows, like Dreamers Podcast. Keep up the great work Joe! This is such a great podcast! Very inspirational! Everyone has a dream, either little or big. This podcast is truly inspiring to all who listen. I love this show and where joe wants to take it! Writing has always been a passion of mine, even from a young age. Since starting my own business, I have written four books that help others to become their SuperSelves! Early on, I decided to write books in my own style. Short and to the point with a lack of fluff. In all four of my books, the artwork was designed and made by me to invoke specific emotions. My books have garnered attention from many big names in both the business and self-development worlds. Including Lee Cockerell, a former Executive Vice President at Walt Disney World ResortⓇ, who wrote the foreword for "Sales Won't Save Your Business". The books have even been featured as a highly ranked for business growth by Huffington Post!